Gym supplements have become a craze in Ireland, as people flock to stores such as Holland and Barrett to get their hands on the latest protein powders that will help them to achieve their perfect body. While these supplements are not necessarily harmful if sourced from a reputable retailer, the number of teenagers shoving as many protein products down their gullet as possible is a reason for concern. 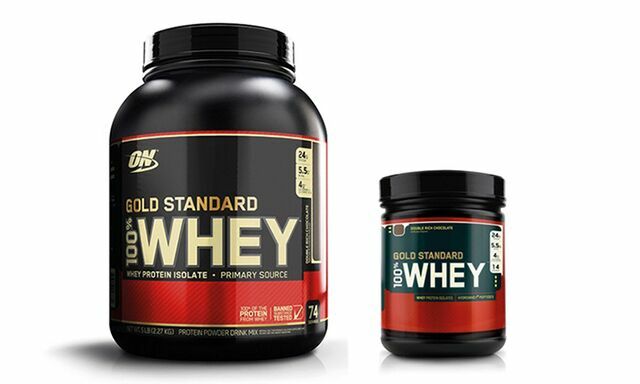 These teenagers, who are often just young lads who are trying to improve in their sport are spending large amounts of money on Whey Protein when they could easily get the necessary amount of protein from natural sources. While products such as protein bars and protein shakes are a quick fix that allows athletes to ingest large amounts of protein instantly, they will not be as useful as natural foods. These shakes will also likely supply your body with more protein than is needed and will simply pass out of your body unused. Even if you are a vegetarian or vegan and animal products are off limits to you, foods such as nuts and kidney beans have high levels of protein that will help muscle regeneration and growth. Fulfil protein bars, which are available in the Londis on campus, are tasty but most are coated in chocolate which means if you’re looking to be a real health freak that these probably aren’t for you. They are probably one of the best with regards to ingredients but still are not the best option. TREK protein bars, which admittedly are not quite as tasty and have a lower protein content as Fulfil bars, are made from raw whole food ingredients and are suitable for vegans. The amino acid creatine has become massive in recent years and increases the body’s ability to produce energy rapidly. However, research is undecided on whether or not creatine can actually improve muscle strength. While research would suggest that creatine is far more healthy than using anabolic steroids, with only anecdotal evidence to support claims that it results in kidney damage, heart problems, muscle cramps and dehydration. However, Whey Protein products do have some surprising benefits away from the obvious bodybuilding benefits. In a study published in the scientific journal “Clinical and Investigative Medicine” found that whey protein may help reduce weight loss among HIV-positive patients. Taking these products will not help with packing on muscle if aspiring bodybuilders do not eat the required amount of food. This point is lost on many young men, who have been naturally lean all their lives and look to pile on the pounds. While they will increase the amount of lean muscle on their bodies, without increasing the amount of calories in your diet a bulky build will not be possible. Ideally the calories should come from healthy sources, but even eating unhealthy foods can help build muscle if you’re willing to go down the route of a ‘dirty bulk’. Still, remember that building muscle takes time and that the results you may expect to see in the space of a few short months will likely take much longer.